Even in my early fifties, I sometimes realize how wrong I can be about myself. Which is a good thing, by the way. Keeps life interesting. Take photographing birds. It wasn't for me. Apart from two early morning strolls through some swamp in Florida while attending a conference in the area years ago, I didn't bother with it. I'm not much of an animal person, let alone a bird person. I never 'got' birding. And while some images of birds can be gorgeous, it just didn't look like it had much to do with vision. To me, one bird picture looked pretty much like any other bird picture. I could add one to the pile, but why would I? Whereas a picture of a bird was just a picture of a bird. And that would have been wrong. Last winter, I read about bald eagles taking up residence along the Hudson in my area. The cold had brought many down from the north, where the frozen river prevented them from fishing. I decided to check it out. My pictures of that first day sucked, which might well have been what made me go back the next day, looking to get something better. Despite its parasitic nature, the bald eagle is a majestic bird and even taking a bad picture of one was somehow satisfying. On the second day, I noticed a bunch of eagles really close to the shore vying for prey. I wasn't familiar with the area yet and didn't know how to get to that spot without disturbing the scene. So, I drove to where I could park the car and by the time I got out, the eagles were gone. From that moment on, I was hooked. The hunt was on. I had to get my own shots of eagles in action, their fierceness on display while they fought over a fish or swooped down low over the river. Every morning, weather permitting, I was back on those Hudson shores. I toyed with my own gear and with gear I rented to try out. I stood for hours in the bitter cold. I drove around to find out where the best concentration of eagles could be found that day. I loved it. Sure, the images often disappointed me when I saw them on my computer. But I couldn't stay away. It became the highlight of an otherwise dreary winter, which I had begun to loathe with its freezing cold and snow storm upon snow storm. What I did find out is that bird photography is as much about the enjoyment of the pursuit as it is about the final image. And even though the world is already awash in great images of bald eagles, nailing one yourself is special (I think. I'll tell you when I get one...). It's a bit like fishing: sure, someone has caught a fish like that before, but this one...this is YOUR fish. I also found a camaraderie among bird photographers that I hadn't encountered in photography before. Here were photographers actually helping each other with location information, camera settings and yelling when an eagle came into view. My previous group-like photography experiences revolved around model photography group shoots, where I had never encountered much of a willingness to share. Despite my assurances to my new photography buddies last winter that my interest would wane as the eagles flew off, I did venture out again in pursuit of birds. But when others moved on to photographing ducks, I stayed indoors. I found I was intrigued by birds of prey, by exotic-looking birds and by birds in the landscape. That was it. Still is. Luckily, a friend emailed me that a great horned owl and some of her babies were hanging out in a park close by. I picked up my gear again. That gear wasn't suited well for bird photography, because I still hadn't made a commitment to it. All the rentals were gone and I was left with the equivalent of 420mm on my Olympus OM-D E-M1 as the longest setup available. One thing led to another. Word of a crested caracara (I had to look up what that was) resulted in an hour-long drive to find it. In vain. Nearby, a nature preserve stole my heart and I went back to it again a week later. I also went back to the owls almost every day, until they disappeared as the foliage grew dense. And then I found an osprey nest close to where my daughter took a weekly lesson, so I visited that location regularly. Spring came and bird photography waned, at least as a major pastime. Instead, I started redoing my gear collection. Whereas at the beginning of winter I had planned to ditch my DSLR kit, I now merely remade it. The Canon 5D III made place for a 1D X and a 7D Mark II. Wide angle lenses went out the door and a new 100-400mm f/4.5-5.6 IS II and 1.4x converter entered. More recently, a 500mm f/4 IS II was added, accompanied by a 2x converter. Add a sturdy monopod, tripod and some gimbal heads and I'm set. Except that I'm not, with the emphasis on the 'I'. Now that I have some of the best gear money can buy, I am the remaining weak link. Let me just say that I'm more humble than I used to be when it comes to photography. Who wouldn't be? Ever since I got the 500mm a few weeks ago, I go out to practice with it and come home to find most of my shots terribly out of focus. I have the bird dancing all over the frame as I try to follow it. I have the whites blown out and the blacks get noisy as I try to bring them back to normal on the computer. Luckily, I run into fellow photographers who have gone through the same experience and still score many misses for a few good ones. And while I may not yet have a great picture of a hawk, it's getting better and I'm pretty happy standing on a hill overlooking the Hudson waiting for that hawk. And sometimes, just sometimes, I get a great shot. Not earth-shattering great, but great for me. My fish! My shot! Sharp! Strong! Enough to keep me going. I still don't see myself traveling to exotic locales to take pictures of birds. If I spend good money on a plane ticket, it's likely to take pictures of places and people and not of birds. 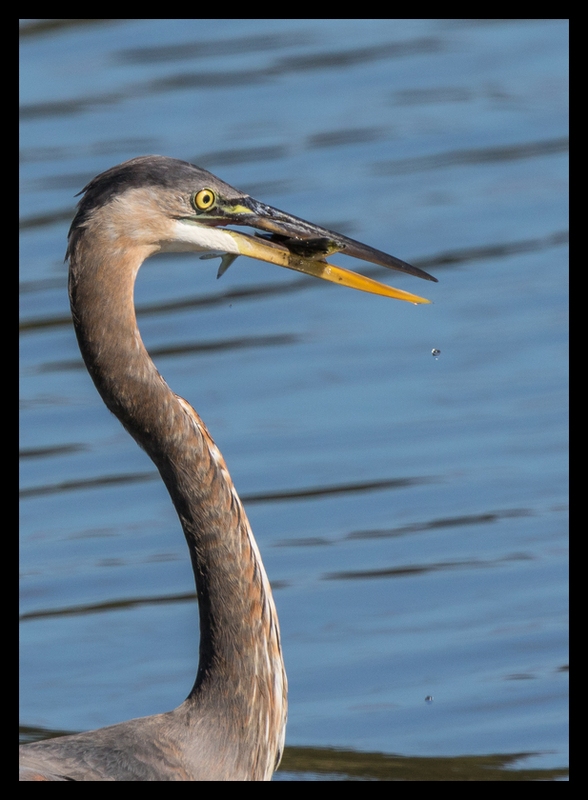 Bird photography is more of a road trip thing for me, something to spend a pleasant time outdoors pursuing a hobby. And I still don't know much about birds. I did learn the basics of their behavior and the best ways to go about taking their pictures, but I know little about the various species. Quite honestly, my interest is skin deep. I have no real intention to study birds. 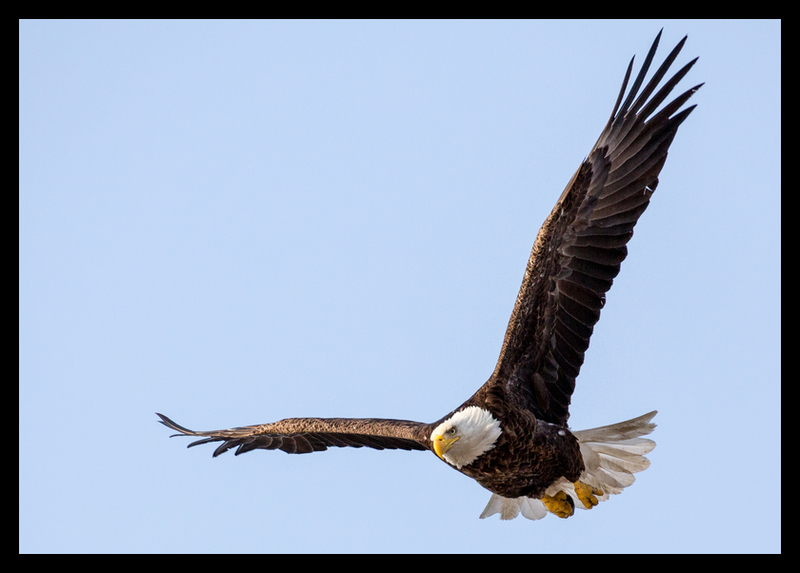 Yet, here I am, with a hotel booked close to the Conowingo Dam in Maryland in a few days to go shoot the eagles there. A year ago, I didn't even know that dam existed. PS: in the coming weeks, I'll share information about bird photography locations and gear, describing the places I shoot at and/or discussed with others and the gear I'm getting accustomed to. Stay tuned.